Bruce Lee was an actor, martial arts expert and philosopher. Bruce Lee started Kung Fu schools in the United States. This is where he taught everyone interested in learning Kung Fu. He was always willing to prove that Kung Fu was better than Karate and the latter was derived from the former. Bruce Lee at one time wrote a movie script and presented it to American movie directors at Holywood. They vehemently refused to have him take leading role in that movie claiming that it is hard to sell Asian characters to western audience. Bruce Lee was not a man to give up on what he wanted to do. After realizing that the Americans were giving him just non-speaking roles he decided to move back to Hong Kong and launched his acting career there. In the movie “Bruce Lee Story (1976)“ he arrived in Hong Kong with his bare hands and plenty of determination. When he arrived in Hong Kong, he had just his hand bag and lots of determination. He was determined to find a way of making movies. He was so sad that he would not be assigned speaking roles by the Americans. He therefore decided to become a producer, actor from his base in Hong Kong. His single objective was to change the way the West viewed the Asians. At the time of return he was already very popular in Hong Kong. He immediately embarked in lots of serious Kung Fu training and teaching to attain the highest standards possible. Bruce Lee always expressed his determination to produce movies that appealed to the global audience. This is what he always expressed to his managers and other agencies. He came up with philosophies and ideas which inspired Asians informing them that they are not inferior as they thought. I’m always humbled by his down to earth demeanor. He gave several Chinese people hope by telling them to believe in themselves. Bruce Lee drove himself relentlessly to become the best both on screen and off. He started directing movies globally. He did everything to make sure he was at the top of the game. Bruce Lee always prepared in advance for everything. Whether it was a fight or movie shoot. For instance, he would make a reconnaissance visit to make sure he understood the sites where he was to shoot his movies later on. This might have contributed to his great accomplishments which left friend and foe dazzled. One day when Bruce Lee was shooting a movie in Bangkok, Thailand he was challenged to a fight by a Thai boxer. He beat him hands down. This boxer ran to their training ground for reinforcement. The Thai boxers fixed a fight which he also won effortlessly. The boxers admitted that Kung Fu is superior. One time while in the United States, one of his friends congratulated him for being a great fighter. Bruce reminded him that form of the fight does not matter, speed does. How fast do you respond to attacks? He always told his students to apply simple and most direct moves in fighting. Bruce had a chance to fight with the best fighters around the world from the United States, Asia, Thailand and other parts. That is how he gained his reputation for being the crème de crème in the world of Kung Fu. 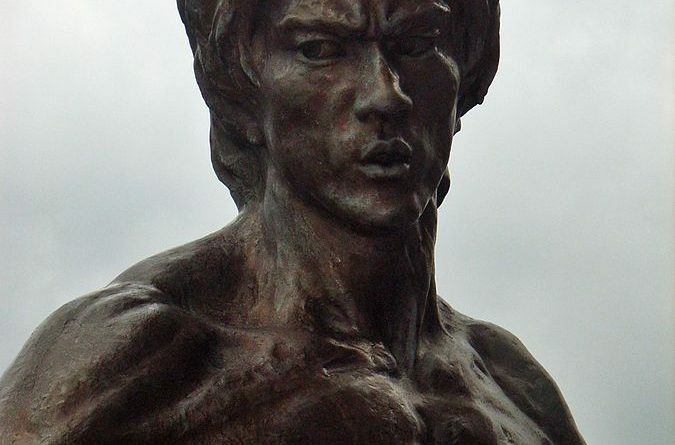 Some of the people Bruce Lee competed with tried to employ unfair practices such as use of crude weapons but he still ended up winning the fights. Bruce Lee was a formidable fighter and actor and would later become a world hero both on film and off. We will live to remember this larger-than-live character and his numerous exploits. It’s so sad that he died at a tender young age. He was just 32 when he left us for his maker.